The title and the first-look of Vijay and Nayanthara's upcoming movie Thalapathy 63 will be out for Tamil New Year. 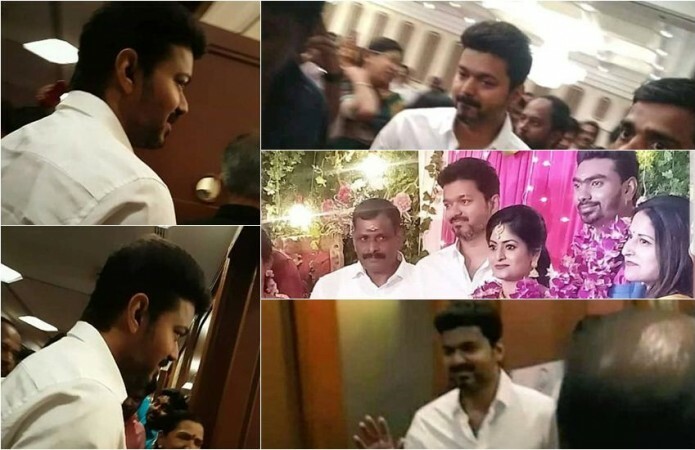 The shooting of Vijay's upcoming movie, presently referred to as Thalapathy 63, is progressing at a brisk pace. The team is filming important portions involving Jackie Shroff and Vijay in Chennai. The latest buzz is that the movie team has locked in the date for the title announcement of the upcoming movie. As per the sources, the name of the movie along with the first look posters from the flick will be released on 14 April on the occasion of Tamil New Year. A formal announcement of this is expected to be out shortly. However, there are plenty of fan-made posters which are doing rounds on social media sites. 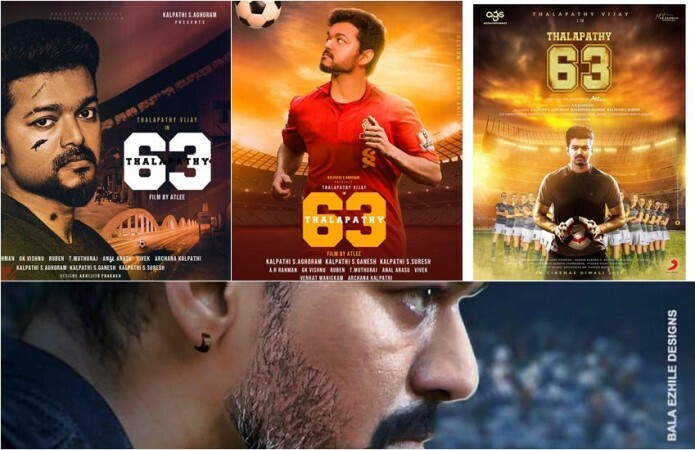 As Vijay enacts the role of a footballer and a coach, his fans have come up with a variety of posters having the sports as its backdrop. Thalapathy 63 is said to be a revenge drama with football, politics in sports and more importantly about the friendship between two individuals played by Vijay and Kathir in the Atlee Kumar-directorial film. As per the report, Thalapathy, whose character name is rumoured to be Micahel, will try hard to fulfil his friend's dream of taking the latter's team to the top place in their locality in the upcoming Tamil flick. #Thalapathy63 Fan Made Designs ? The film marks the third union of Vijay with Atlee after Theri and Mersal. Nayanthara plays the female lead in the flick, which is funded by AGS Entertainment. Vivek, Kathir, Yogi Babu, Daniel Balaji, Anandraj and a host of other actors are part of the cast. Thalapathy 63, which will hit the screens for Diwali, has AR Rahman's music, Ruben's editing and GK Vishnu's cinematography.